Punalu, Hawaii. 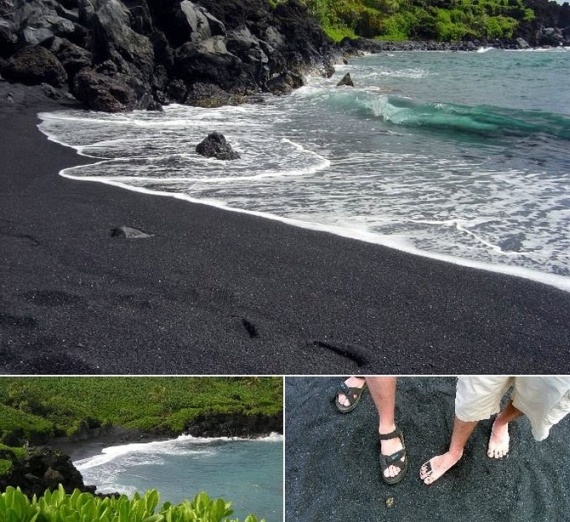 The black sand is volcanic in origin. 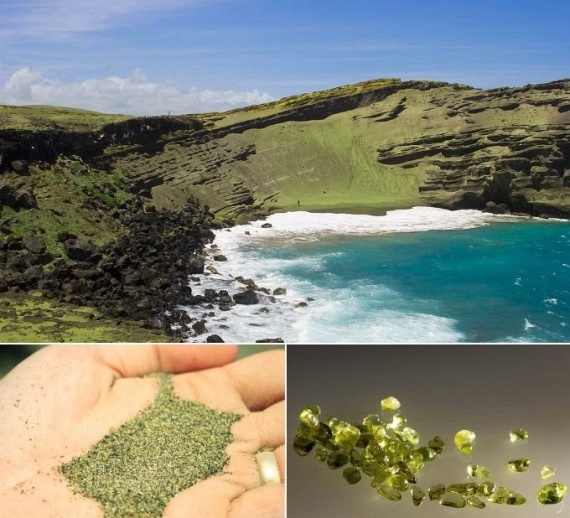 Papakolea, Hawaii, Green sand also is of volcanic origin. Hayms, Australia. 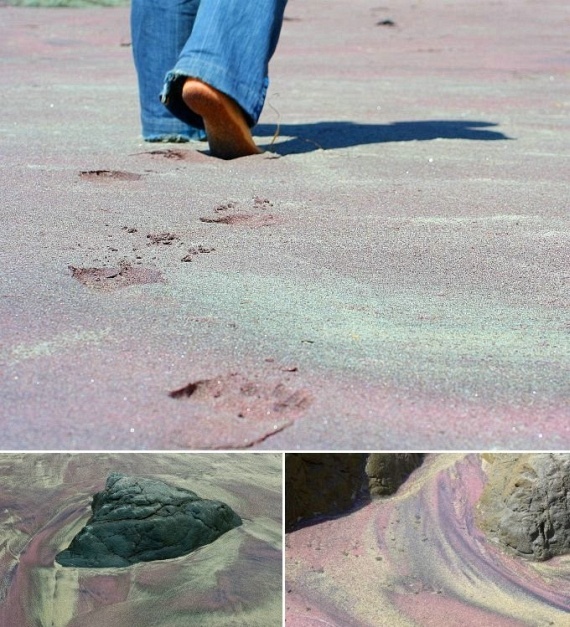 It is the white sand in the world. It even made Guinness Book of Records. 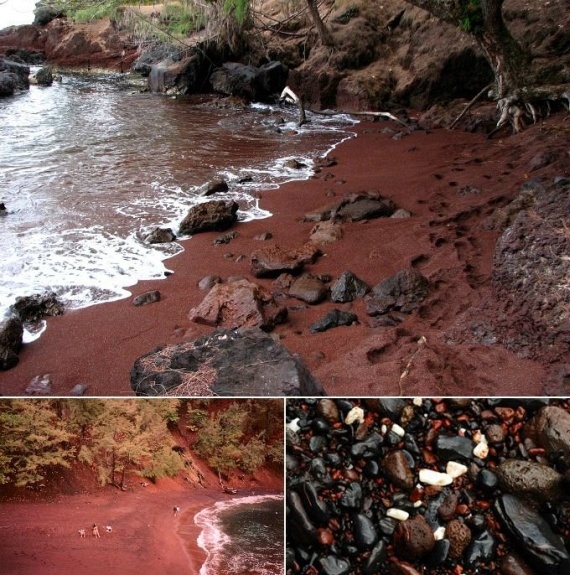 The island of Maui, the red sand. 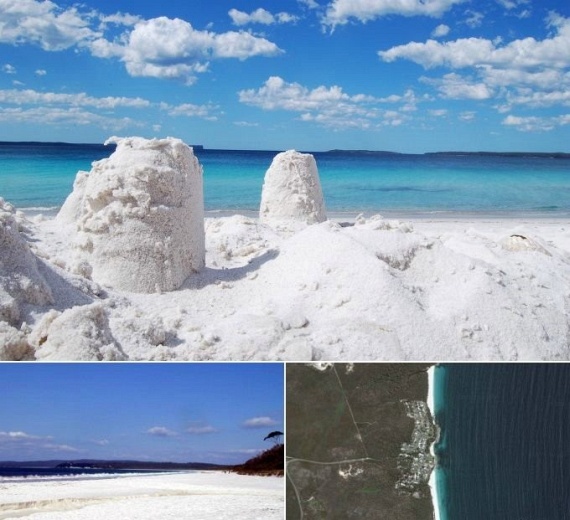 i like white sand ...like Can Cun..